Author: Caulfield, Annie Set In . . . 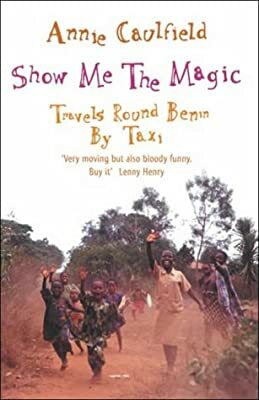 Description: This is a travel book about Dahomey (Benin) - an inhospitable country in Africa where corruption is rife and where Catholicism shares a place with Gri Gri, the local Voodoo. The muslim north of the country is arid and tough, whereas the south is colourful, sophisticated and artistic. The countryside ranges from pretty English rural, to arid sub-Sahara. Annie experiences this country of contrasts from the back seat of a taxi driven by a wacky control freak called Isidore.